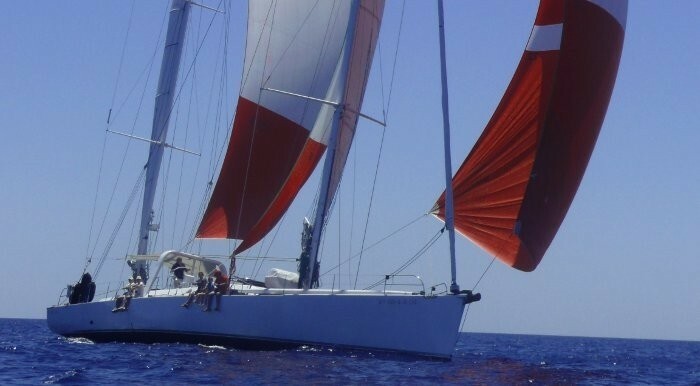 FORTUNA is a 25,20m (82' 8") sailing yacht built by Mafasea in 1995 and refitted in 2005. 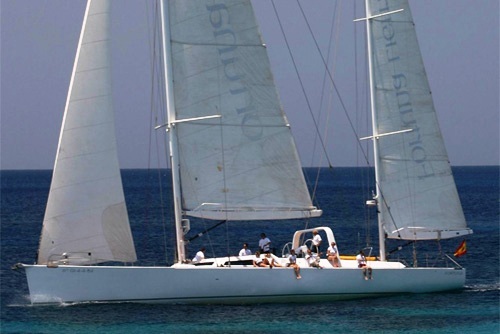 FORTUNA provides a unique opportunity to charter in a versatile environment of comfort and high performance sailing. 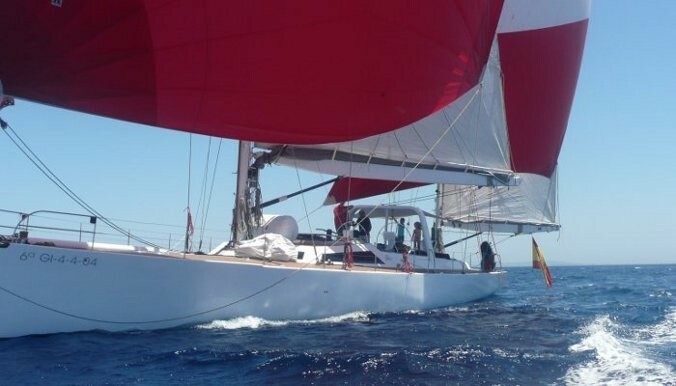 The 82ft maxi sailing yacht FORTUNA can accommodate 10 guests in 5 cabins. 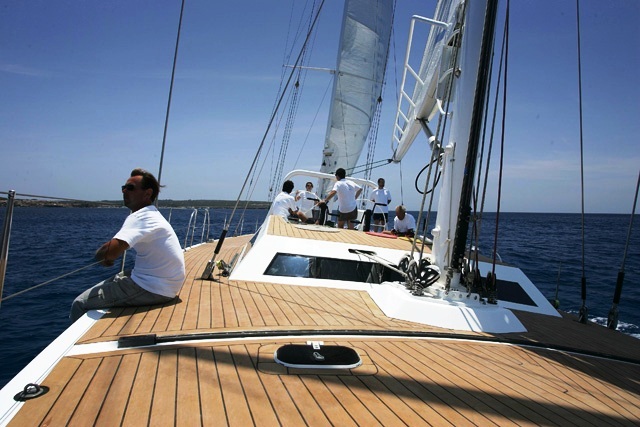 S/Y FORTUNA features modern European styling. 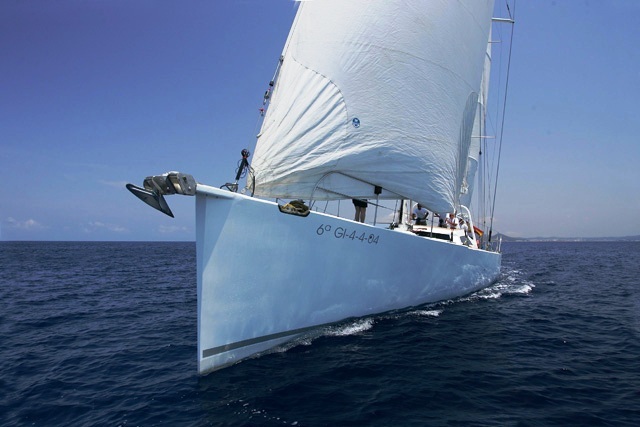 Her light-filled interior mirrors the clean lines of her hull and sweeping decks. Fitted with pale leather sofas and a large table, the main salon is inviting and comfortable. The walls and overheads are white and the minimal cabinetry is pale wood to contrast with the dark cabin sole. Entertainment in the salon includes a plasma screen TV, DVD, stereo system and library. Aft of the main salon are five air conditioned cabins. 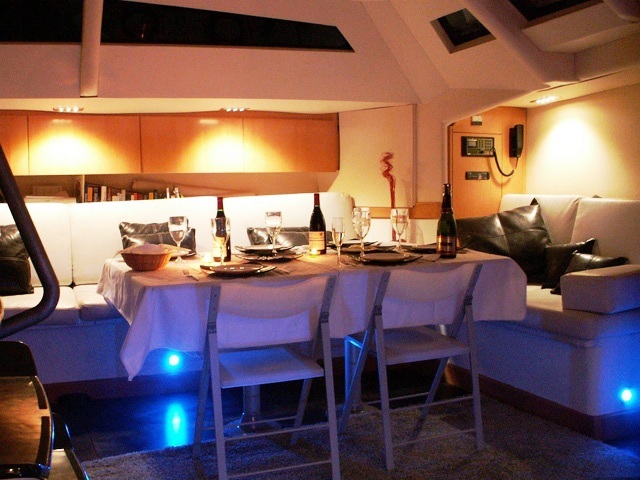 To port is one double-bedded cabin and one cabin with upper/lower singles. These cabins have their own have heads with vanities and share a shower. 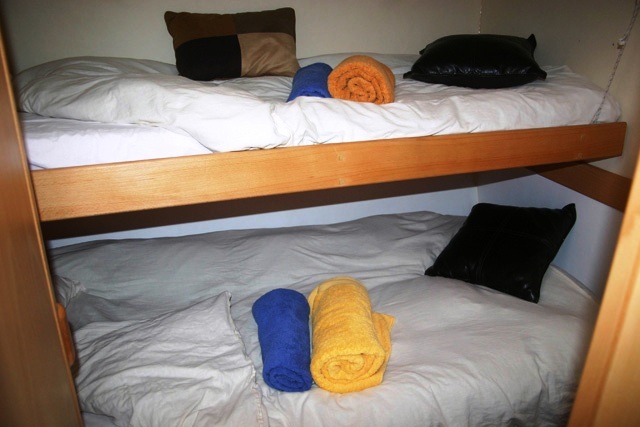 There are three cabins with double beds along the starboard side. The aft two share a large head and shower. The third cabin is en suite. The galley and main crew quarters (with full head and shower) are forward of the salon. 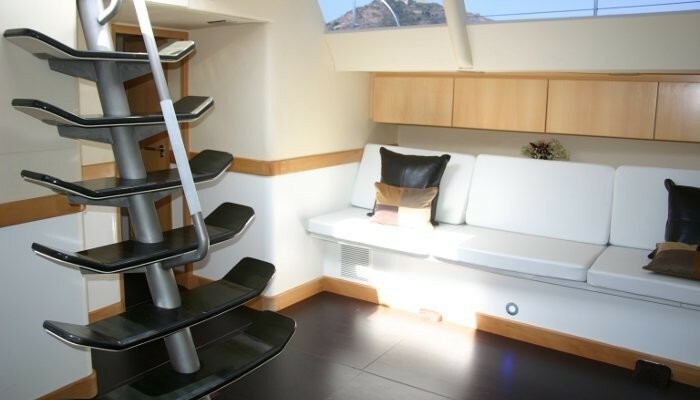 There is an additional crew cabin just aft of the salon on the port side. 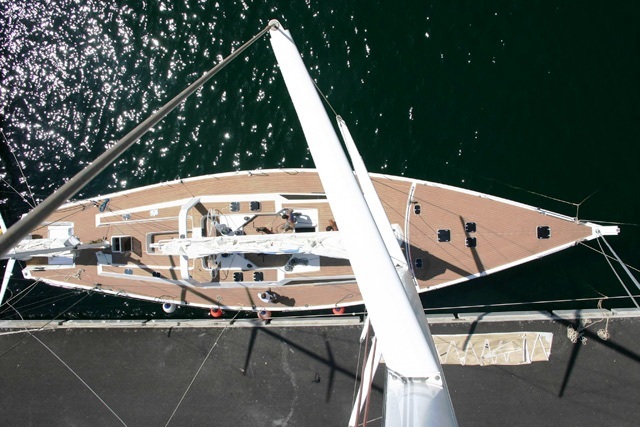 An outstanding feature FORTUNA offers is her expansive flat decks, smooth and free of all obstructions. There is space on deck for al fresco dining aft of the sailing cockpit, the where 10 guests can be seated for lunch or dinner on comfy yellow cushions. There is a second guest cockpit, dubbed ‘the aft beach’, which offers sunning cushions and two smaller tables suitable for 10. At Just 20 centimetres (8 inches) above the water, this is the spot to relax or the ideal place to enjoy the water sport toys from. 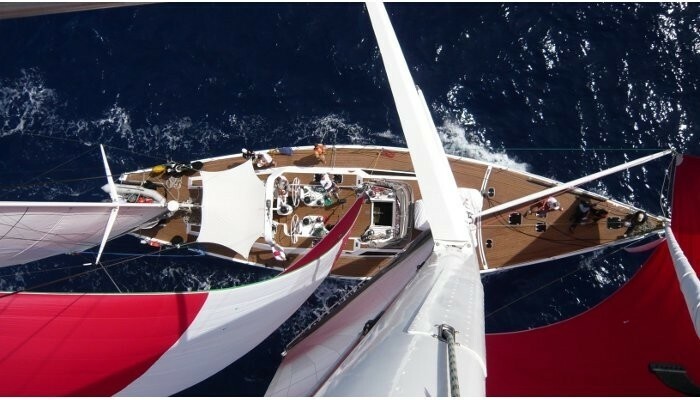 Based in Spain year round, the 82 feet Maxi FORTUNA is the ideal yacht to view the incredible Trimarans of BMW Oracle and Alinghi at the America´s Cup 2010 in Valencia. 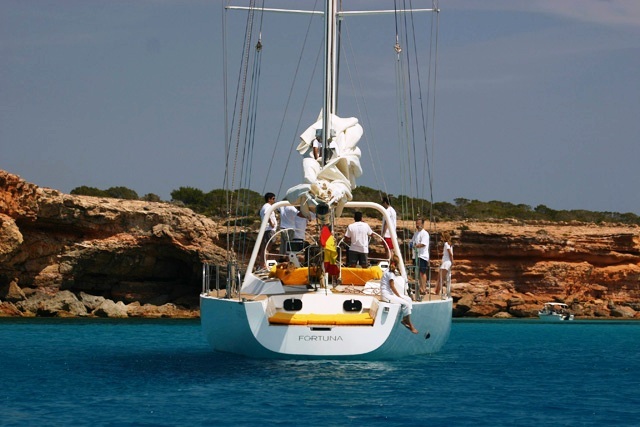 You can choose whether you prefer taking part in the sailing manoeuvres or just relax on board. 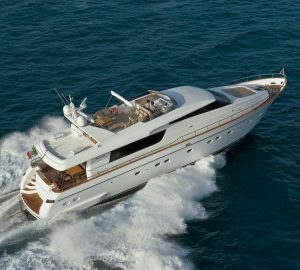 FORTUNA is able to reach speeds of 11 knots against the wind. 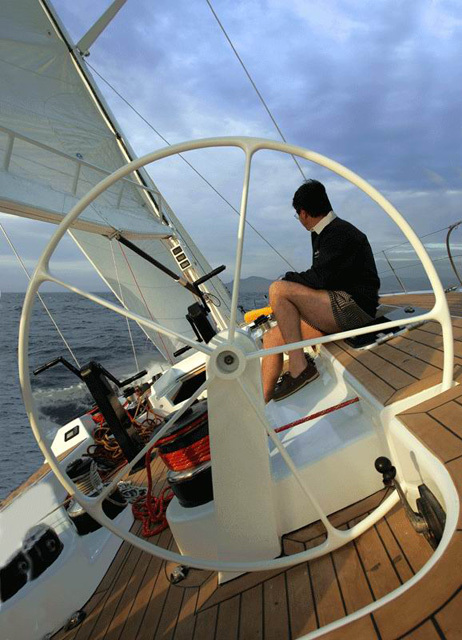 The captain Mr Antonio Escribano is an experienced sailor and a Regatta expert; this makes the navigation a superb experience and he will also explain the races secrets. 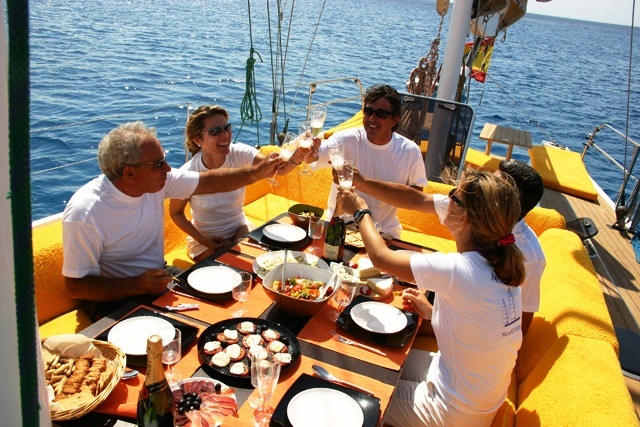 Sailing yacht FORTUNA can accommodate 10 guests in 5 air-conditioned cabins all located aft of the main salon. 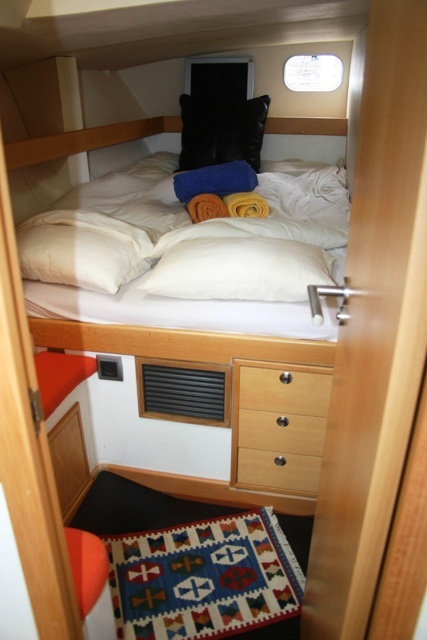 To the port side is one double-bedded cabin and one cabin with upper/lower singles. 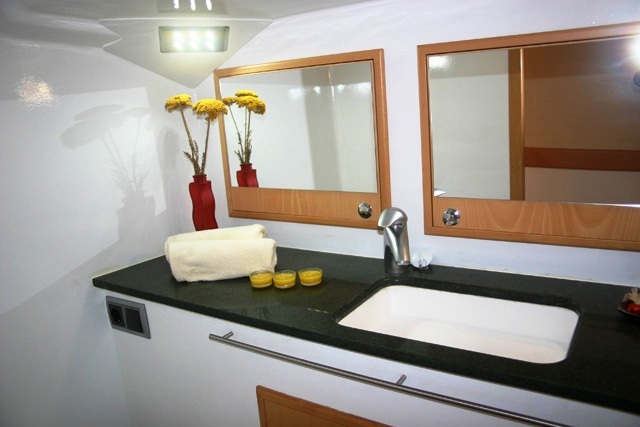 These cabins have their own have heads with vanities and share a shower. 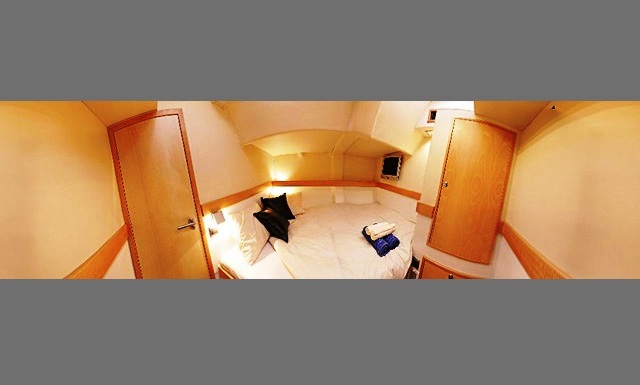 There are three cabins with double beds along the starboard side. The aft two share a large head and shower. 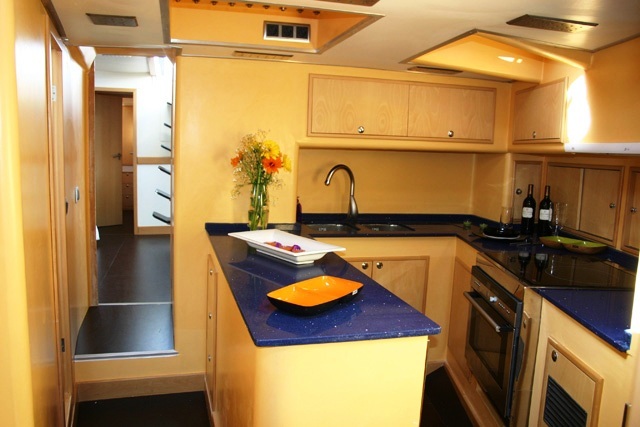 The third cabin, accessed from the main salon is en suite. 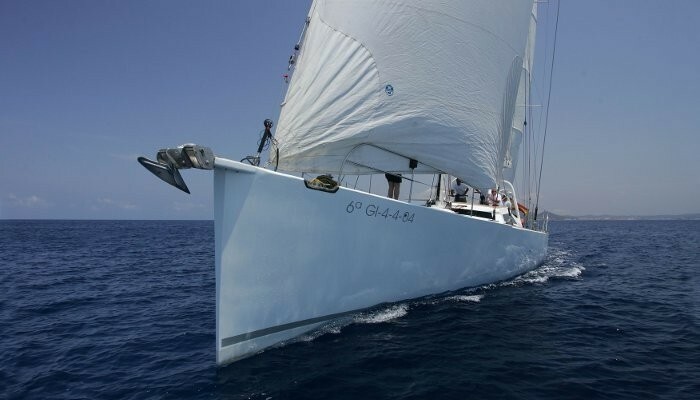 Sailing yacht FORTUNA has the following extras, tenders and Toys on board: A Semi-rigid 3´5 m Dinghy with 13hp Yamaha engine, Fishing Gear, Snorkel Equipment, New Sails July 2007: Dacron Maylar-Main Sail - Mesana , Genoa and Jib in Sanwich, Asimetric Spinnakers, Shower on Deck, Swiming Platform, Bimini, TV plana in salon, TV in each Cabin, DVD in each Cabin, Email and Inmarsat, Navtex.